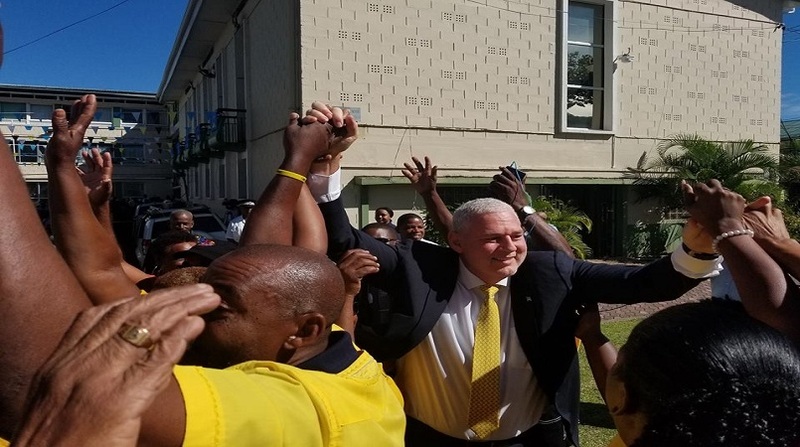 Prime Minister Allen Chastanet greets supporters outside the House of Parliament ahead of the no confidence motion. 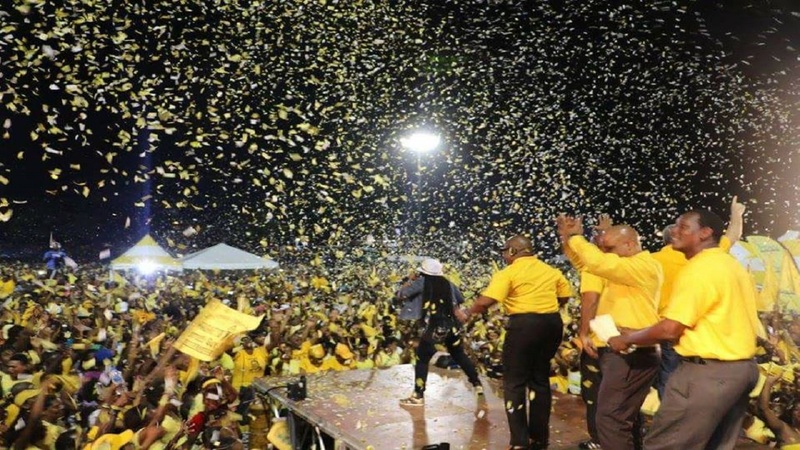 The defeat of the motion of no confidence in Prime Minister Allen Chastanet yesterday in the House of Assembly, which was brought on by Opposition Leader Philip J. Pierre, is being claimed as a victory by both sides. Pierre said that privately, government ministers had been expressing their displeasure with Chastanet, so the debate on the motion of no confidence in Chastanet was to get them to speak out in the open. This clearly did not work as various members on the government side of the House attempted to derail Pierre’s presentation which began an hour and a half later of the scheduled 10 am. The government side of the House made 20 attempts, during Pierre’s presentation, to end the debate prematurely, all to no avail, as Speaker Andy Daniel, ensuring that the rights of the minority in the House was not infringed upon, kept the motion and its debate on the House floor until the end at 12:38 a.m., Wednesday. In the marathon debate that followed the tabling of the motion of no confidence in the prime minister only six parliamentarians on the government side of the House spoke, namely Guy Joseph (Southeast Castries), Gail Rigobert (Micoud North), Ezechiel Joseph (Babonneau), Dominic Fedee (Anse-La-Raye/Canaries), Sarah Flood Beaubrun (Central Castries) and Bradley Felix (Laborie), each proclaiming their steadfast alliance to Prime Minister Chastanet. The opposition members, except Dr. Kenny Anthony, were able yesterday, to lay out in full their reasons why the House should express its total lack of confidence in the leadership of Chastanet. Dr. Kenny Anthony did not speak due to what many party supporters, including a talk show host, claimed was an infringement on Anthony’s rights by Speaker Daniel, as contained in the Standing Orders of Parliament Section 38 (1). Daniel has denied any infringement on his part. 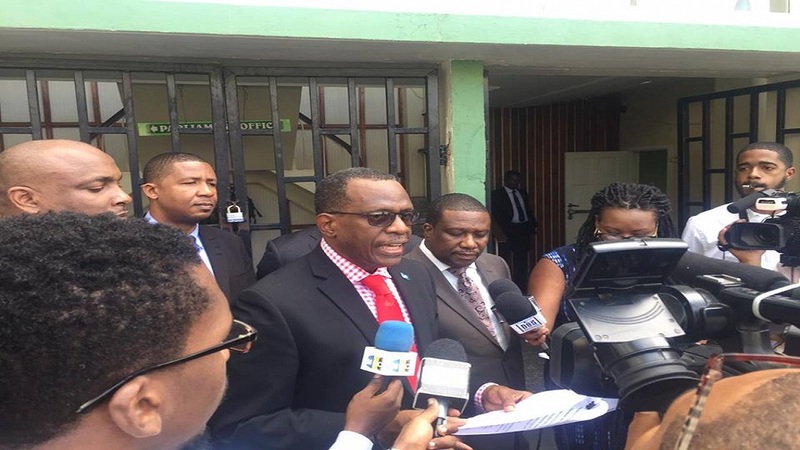 He said he noticed the lights on the microphones of Dr. Kenny Anthony and Edmund Estaphane were on at the same time and therefore was uncertain as to which of the two he should call on to speak first. “I’ll give way to him (Estaphane),” Anthony said, shortly after midnight, Wednesday morning, whereby Estaphane stood and immediately invoked Standing Order 38 (1) to end the debate claiming that the minority, meaning the opposition, was not suppressed in bringing its case of no confidence in the prime minister to the House. Speaker Daniel then went on to acknowledge Estaphane’s submission and was about to put the question to the House that would end the debate when Dr. Anthony interjected telling Daniel that he was not in a position to determine which light came on first, therefore, it was only fitting to allow him to speak after Estaphane. “Look at the circumstances that occur tonight. I gave way in good faith, that is to say, on the assumption that the member would be making his presentation or wanted to make his presentation.” Anthony said. “Clearly, in that kind of situation, where I gave way in good faith, it has to be an infringement on my right to speak, to respond, when it is obvious that there was confusion between the two members as to their intent tonight,” Dr. Anthony said. Repeating that he did not infringe the rights of the minority, Speaker Daniel put the question to the floor to bring the House proceedings to an end. However, before that spectacular finish, Daniel had parried several attempts by the government side of the House to bring a premature end to the debate. The first person to launch an attack on the motion from the government side was Economic Affairs Minister Guy Joseph. Quoting Section 35 (6) of the Standing Orders he said no member of the House is to be referred to by name in a motion tabled before the House pointing to the prime minister’s name in the text of the motion as contrary to the Standing Orders. He even quoted Section 60 subsection six of the Constitution to show that the motion of no confidence in the prime minister was also contrary to the Constitution. But Speaker Daniel was not to be sidetracked stating that naming Allen Chastanet had to be included in the text of the motion because of the nature of the motion. “When I, Andy Daniel, sit in this chair, I aim to be fair to members of this Honourable House. There is nothing unconstitutional about this motion being in the name of the Honourable Prime Minister or in his office or in any other minister, or member, sitting around this table,” Daniel said. The SLP has announced on their official Facebook page that a National Public Meeting is to be held on the Castries Market Steps on Thursday, February 7. The party says, "Come and hear our Parliamentarians and other speakers continue to expose the mismanagement of Allen Chastanet and his cabinet of accomplices. Come and receive evidence of the misdeeds which the UWP tried to block in the House." 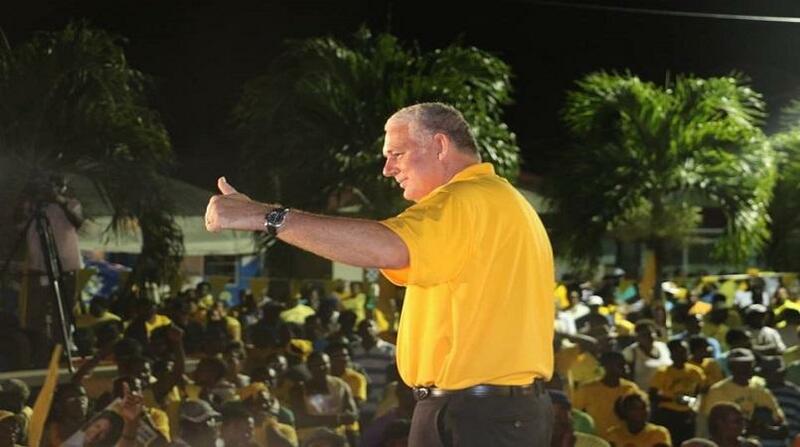 The UWP posted to their official Facebook page earlier saying, "SLP loses motion of no confidence in Prime Minister Allen Chastanet by 11 votes to 6. All sitting Government MP’s vote in overwhelming support of the Honourable Prime Minister. Leader of the Opposition Philip J Pierre immediately walked out of Parliament upon losing the motion."